The blog on your law firm’s website can serve many purposes. It can be used to educate potential clients who visit your site about their legal rights and options. It can showcase your legal knowledge and establish you as an authority on topics related to your practice areas. It can also highlight your unique personality. Ultimately, a blog can enhance your online presence, generate traffic and lead to conversions. In this sense, your law firm blog can play a major role in your overall Web marketing campaign. With this in mind, it is important to make sure that your blog never goes “stale.” You need to keep it regularly updated with fresh, relevant and interesting content. Of course, this can be a challenge—one that our Content Team tackles every day on behalf of our clients. Based on our experience, we think the following tips can be helpful when you are looking for new topics for your law firm’s blog. Who will pay for my car damage after an accident? How can I pay my medical bills while my lawsuit is pending? Ask yourself: What basic information can I provide to people with these questions? Keep your answers simple. Use plain, easy-to-follow language. Be informative but be concise. The visitors to your site will appreciate that you shared your insights. They will respect your knowledge. Ultimately, they will be more likely to submit your online contact form. Adding your unique twist or perspective on a hot news item is commonly called “news-jacking.” It can be highly effective. As a lawyer, you can truly provide an interesting take on what is making headlines. For instance, if you are a divorce lawyer, you can use a celebrity couple’s dispute over custody of their children to explain child custody law in your state. Or, if you are a criminal defense attorney, you could use a news story about arrests made at a DWI checkpoint to explain one’s legal rights. The key is to take a news story that people may not fully understand and break its complex issues into simple, easily digestible terms. Do people read blog articles that provide helpful tips? Well, you’re reading this article, aren’t you? The reality is that people often go online because they are looking for solutions to problems or advice on particular matters. Of course, as a lawyer, you can’t provide legal advice through a blog. However, you can provide some helpful general information that can be of real benefit to your site’s visitors. For instance, let’s say a person is wondering whether it is worth their time and effort to pursue a lawsuit after being injured due to a medical error. An article on “Nine Reasons You Should Pursue a Medical Malpractice Lawsuit” can provide excellent value to that individual and may help him or her to overcome doubts about taking legal action. You can also provide non-legal advice that can help people to avoid injuries or other problems that your law firm frequently sees. For example, having represented numerous children who were hurt in swimming pool accidents, you may wish to share suggestions in an article, “Seven Ways to Keep Your Child Safe at the Pool.” In fact, our Senior Social Media Consultant, Kenneth Harris, has often said that these articles tend to be the most highly shared and can generate significant traffic. These topics reflect that your law firm truly cares about your community. The reality is that you may be extremely impressed by what others are saying about a topic. Don’t try to top it. Share it. You can write what is commonly called a “curated” blog article. In other words, you can compile snippets from different articles on a particular theme and share them with your visitors. Just make sure that you give full attribution to your sources and link where appropriate. These types of articles can be highly interesting and informative. They show visitors that your law firm is keeping up with the news or the latest trends and developments in your practice areas. 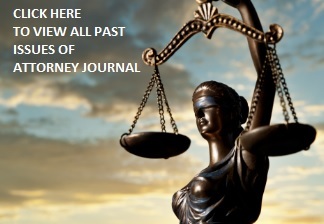 Your blog offers the perfect outlet for getting out news about your law firm. Of course, a Facebook page can be highly effective for making announcements as well. However, with a blog, you can maybe go into a little more depth than you typically can on Social Media sites. You can write a blog article about a recent verdict or settlement or an award or honor that your firm has collected. You could also write about your participation in a community event or charity effort. You may even wish to use your blog to profile a lawyer or staff member. For instance, a paralegal from your firm may have recently participated in a marathon or completed a challenging hike. Let your visitors know about it. These articles, too, can be highly shareable. They tell visitors a lot about your law firm’s personality and culture. And they ultimately can make visitors more comfortable about contacting your firm. So, as you can see, there are many ways you can overcome the challenge of maintaining a steady flow of content to your law firm’s website. Guy Loranger is the Web Content Editor for Consultwebs.com. His role allows him to interact regularly with clients on developing website pages, press releases, blogs and other Web content that promotes their firm’s practice areas and enhances their search engine rankings. He is also Google Analytics IQ certified. www.consultwebs.com. About the Author: Guy Loranger is the Web Content Editor for Consultwebs.com. His role allows him to interact regularly with clients on developing website pages, press releases, blogs and other Web content that promotes their firm’s practice areas and enhances their search engine rankings. He is also Google Analytics IQ certified. www.consultwebs.com.